President Parsons first proposed the need for a dormitory as early as 1904. The need for affordable and good housing, particularly for women, was well known among the students and faculty. The dream of a dormitory took many years and a long struggle to get the building. The board of trustees exerted every effort to make the dream a reality. A petition was signed and submitted May 4, 1920 to the President and Board stating the need for a dorm for these reasons: Many of the rooming places of the girls at present are unpleasant and un-homelike. In many cases the rooms are small and poorly furnished. The prices girls have to pay for rooms make their living expense great. Also the quality of the accommodations that they receive is not equal to the price they pay for the room. A dormitory would raise the standards of the rooming house. Pleasant rooming facilities would be an inducement for greater attendance of the school. Providing a building on campus would offer other advantages. A women's residence was the last requirement to be met so that women graduates would be eligible for the Association of America University Women. After some 20 years of work and effort on November 16, 1924, a parade, complete with school band lead the president, board members, faculty and students into Normal Hall and then to the dorm site for the fulfillment of that long awaited dream. Gathering in front of the building site an appropriate and thrilling celebration took place. The Dean of Women, a board of Trustee member, and a student presented speeches to the crowd. President Linnaeus Hines did the honors of naming and dedication the building. The laying of the cornerstone that included articles of the day was lowered into position. October 19, 1925 The opening dedication of the Women's Residence / Reeve Hall. An afternoon reception and tea followed by an evening banquet. Many honored guests that were instrumental in their support for getting the dormitory built were in attendance. Many gave tales of their hard efforts to get the dormitory and the benefits that it would provide. Miss Mary Gray was introduced as the first dormitory "Mother." In the fall of 1926, Miss Helen Reeve became director and remained in that post until 1947, when she became Dean of Women. The east wing of the W. R .H/Reeve Hall opened in the fall of 1929. At that time the main entrance was constructed between the two wings. An ornate gate in front of the entrance greeted and invited guest and residents into the building. Over the new entrance door pranced little gnome like figures that were posed as "students" of music, physical education, chemistry and home economics. In 1947, Florence M. Thompson became the Director of the Women's Residence Hall and remained in that capacity until 1956, when she became the Dean of Women and was replaced by Miss Margaret Wilson. In 1956, the west wing was completed. The new wing contained three lounges, a large recreation room, a laundry room and a large roof patio on which to sunbathe. From 1924 - 1959, the dormitory served as the only campus building designated as a residence for women. In 1944 - 1946, the dormitory was used as a Navy barracks for the V-5 & V-12 programs to help support the World War II effort. In 1959 the Women's Residence Hall was renamed in honor of Miss Helen E. Reeve. 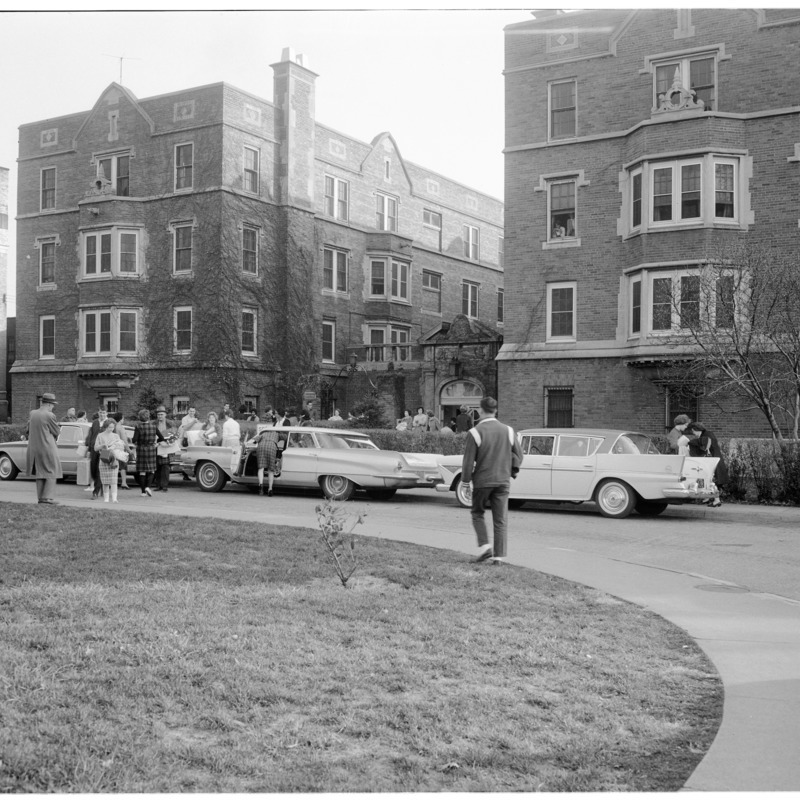 Due to the rising costs and increased residence hall vacancies, Reeve Hall was permanently closed as a women's dormitory in 1971. From that time until it was razed in 1998, it was used mainly for offices and classrooms. “Reeve Hall (1925-1998),” Cunningham Memorial Library Digital Exhibits, accessed April 25, 2019, http://omeka.indstate.edu/document/143.